George M. “Uncle George” Putnam, second president of the Federation served from 1917 to 1950. The Farm Bureau story in New Hampshire started early in the twentieth century. Farmers began asking for more technical knowledge and County Agents were being made available to counties that could prove there was enough interest to warrant funding by the federal government. It was agreed that the organization of county farmers’ associations would demonstrate interest. 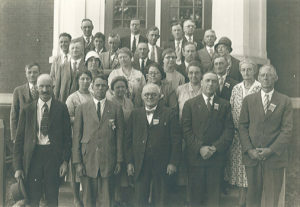 As a result, in March of 1913 a small group of farmers met in Newport, New Hampshire and founded the Sullivan County Farmers’ Association, the first organized county effort in the state. This effort resulted in the passage of an act in the state legislature in 1913 permitting the appropriation of $1200 a year by county delegations for the purpose of hiring a county agent. As a result, the Sullivan County Farmers’ Association hired M. Gale Eastman in August as the first county agent in the state. The Cheshire County Farmers’ Association quickly followed by hiring F.N. Darling. 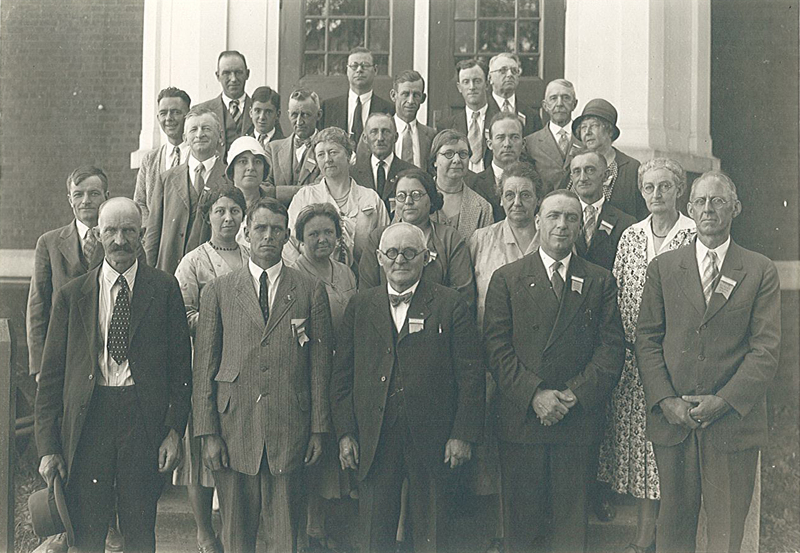 In the spring of 1915, three more counties organized and hired county agents: Belknap, Coos and Merrimack. By 1916, all ten counties had established county organizations. On December 15, 1916 at the Eagle Hotel in Concord, a dedicated group of farmers met and founded a state association, the Federated County Farmers’ Association of New Hampshire. A very early training session for New Hampshire Farm Bureau members. "Uncle George" Putnam can be seen front and center. 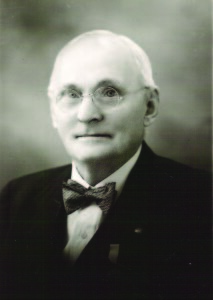 The second president of the New Hampshire Federation, George M. “Uncle George” Putnam, was instrumental in the foundation of the American Farm Bureau Federation in 1919. 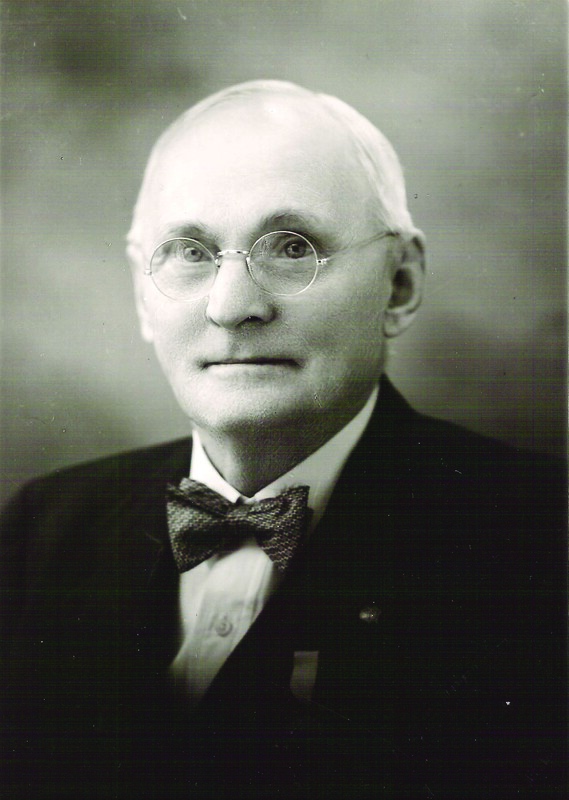 “Uncle George” was elected state president in 1917 and would continue to serve as president until 1950. He was always ready to challenge any other state in the country to refute his claim that New Hampshire was the first state in the nation to organize a state Farm Bureau, though the NH County Farmers’ Associations and the state Farmers’ Association did not adopt the Farm Bureau name until 1924. New Hampshire Farm Bureau celebrated its 100th year anniversary in 2016! Click here to see how each county celebrated the historic milestone! New Hampshire Farm Bureau members and staff also put together a commemorative booklet for the occasion. Inside you will find great information on the history of Farm Bureau, its members, staff, and activities. You can view the 100 Year Booklet online here. If you are interested in a physical copy of the booklet, please call the office at 603-224-1934.